Q. What classrooms are located in the library? There are three classrooms located inside of the library. Room E-221 is the library computer lab and instruction room, located on the upper floor. If your class is scheduled for a library instruction session, it is likely being held in this room. Consult the upper floor map below for exact location. Room E-210 is a university classroom located on the upper floor near the central foyer. Regularly scheduled university classes meet in this room. Consult the upper floor map below for exact location. The Professor Liviu Librescu Classroom is a university classroom located in the Holocaust Research Center. Regularly scheduled university classes meet in this room. Consult the upper floor map below for exact location. 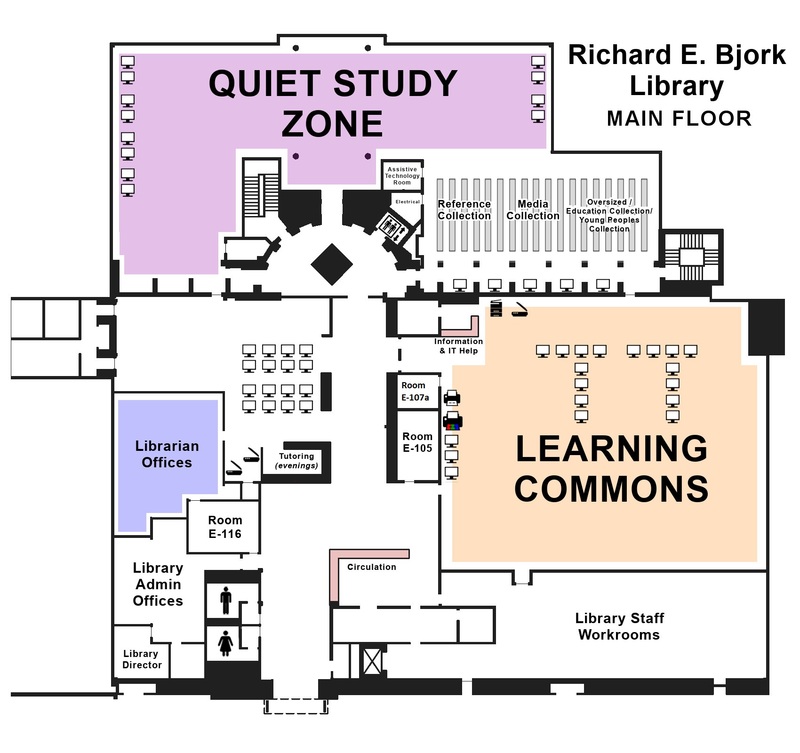 Click here for a map of the library's main floor. 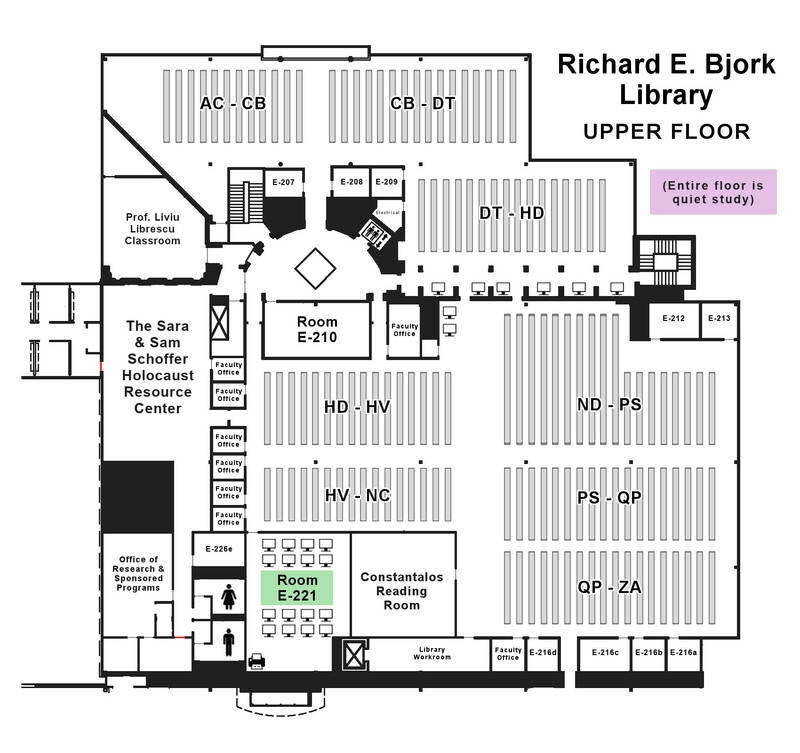 Click here for a map of the library's upper floor. 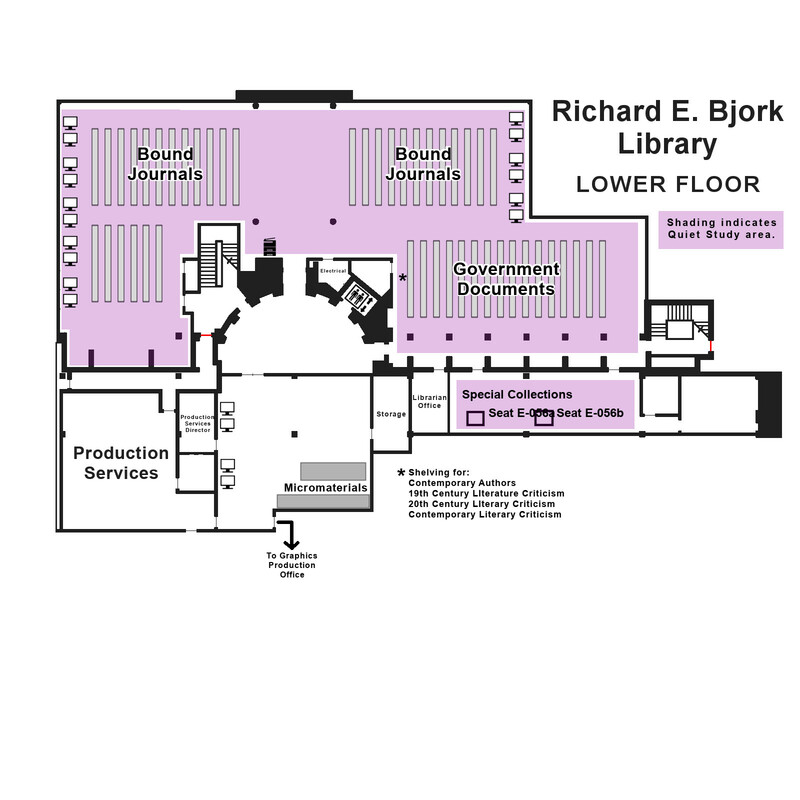 Click here for a map of the library's lower floor.